Lovely upscale home with a mountain modern flair. 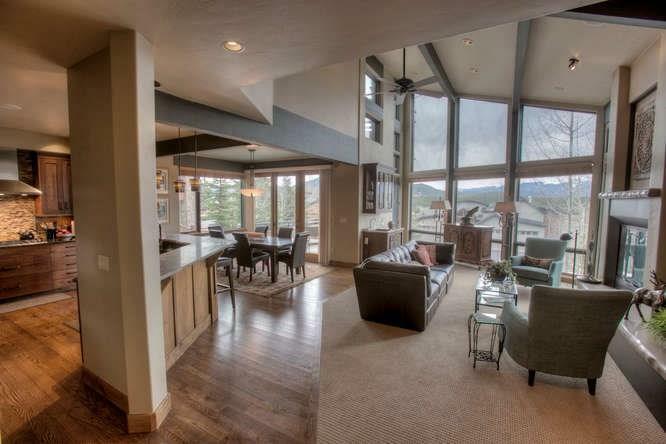 Huge windows look out at Lake Dillon & mtn views. Back to open space w/trails a few steps away. This residence shows artistry of form and function... an alpine dream home.